If you are actively seeking substance abuse counselor jobs, chances are you have already taken your job search mobile. In fact, mobile job search apps have become very popular and there are some really good ones to choose from. 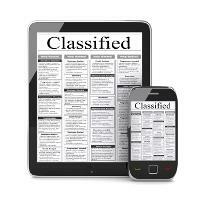 It is estimated that nearly 77% of current job seekers are using mobile job search apps. So, why would you want to do a job search on your phone if you have a pc or laptop at home to get the job done? Well, there are a few advantages to using mobile job search apps. One is that they are always with you. We aren’t always at home in front of our laptop or pc and a mobile app can let us know if there is a new, hot, job opening in our field. Mobile phones, and most apps, have GPS capabilities so they can tell you exactly how far away from you any given job, or company, is. 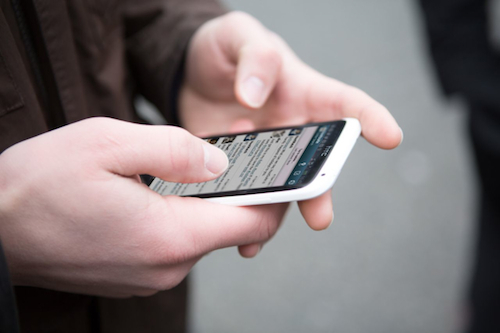 Mobile devices have a lot of, simple, capabilities for recording and sharing information. Here are how some of these features are used with some popular mobile job search apps. TweetMyJobs: This is probably the big one, where users receive relevant job search matches and control how and the frequency with which they are delivered. The app pushes jobs into Twitter through more than 10,000 job channels segmented by geography, job type and industry. Indeed: One of the largest job search boards online (you can use their search engine on the front page of our site), Indeed.com also has a mobile app that allows you to search from your phone. JobCompass: This very cool app is the first of it’s kind for the iphone that actually pulls in millions of job postings and plots them on a map, showing where they are in relation to your current location. When you find a job that you are interested in, you can email it to yourself or even apply online. Hello: Available on itunes and Google Play, this cool app allows you to manage contacts by scanning in business cards. It has a gps feature to record where you met someone and a notes feature so that you can make personal notes. There are also ways to connect with people on social media via Twitter and LinkedIn. LinkedIn: If you’re not using LinkedIn in your job search, you’re missing out. They also have a mobile app and it’s a really great one. Many people prefer the mobile version over the desktop one. LinkedIn’s mobile platform has updates similar to Twitter which is becoming very popular. JobJuice: The website has been around for many years as a great resource for giving job interview preparation. The mobile apps provide business reference and interview preparation for a host of different types of jobs. There is no doubt that mobile job search is here. There are a ton of apps out there that can help you as you search for substance abuse counselor jobs, so that you can continue your search anytime and from anywhere.